​Are your new shirts too uncomfortable to wear? Perhaps they’re scratching your body, and you’re considering to throw them away or give them out and get some second-hand tees from the flea market. 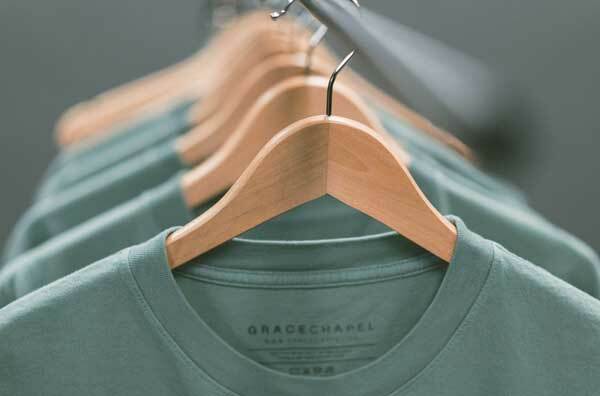 Don’t throw them away yet, because, in this article, we’re going to share with you how to make t shirts softer using simple home ingredients. By the time you’re done going through the steps described below, you should be able to break into stiff t shirts till they feel vintage-soft. This will not only boost their comfort level but also make them appear cooler. One thing you have got to know is that when you soften the t shirt, it might shrink in size, perhaps up to 1 size down. Thus, when choosing a t shirt, ensure that you go for something that’s at least 1 size bigger than what you normally wear. If, for instance, you wear size 30, you can go for a size 31 or 32. If you’re doing it for a customer, be sure to let them know the same. Use a large bucket to mix the ingredients. The salt will act as an abrasive, and it will ease the fibers of the shirt and make the shirt look vintage/old. The washing soda will break down the shirt and remove the coating that makes it stiff, crisp, and new. Softening fabric requires opening up of the fibers, and that’s where the vinegar comes into play. Put some water in the washing machine and set the machine to the highest temperature. Place the t shirt in there along with a towel. The hot water will weaken the fibers and prep them for softening. Before turning on the machine, pour in the salt, baking soda, and vinegar mixtures. Add also, some regular detergent liquid and powder and turn on the machine. When the t shirt is done washing in the machine, remove it and put it in a dryer. Set the dryer to its top heat level and run it for an hour or so. Repeat the softening process for around four to five times. In that regard, prep more mixture batches (baking soda, salt, and vinegar mixtures) and wash and dry the garment as described in the last few steps above. You can do it more times until the fabric gains your desired softness level, but we’d like to believe five times will be enough. This is the final step in making a t shirt soft and vintage. And of course, you’ll only remove the logos if there are any. The reason for removing the logos or the screen printings is that they will fade and they won’t be looking so great. Here’s a guide to removing screen printing from t shirt properly (link to How to Remove Screen Printing from a Shirt), but if you need a quick method, try rubbing it with soft-grit sandpaper. Why Soften Your T Shirts? That’s it, folks! That’s how you make a t shirt vintage soft and cool. As stated before, softening your t shirt helps boost the comfort felt when wearing the garment. And it’s important because you see, most brand-new t shirts feature a coating on the fabric that makes them stiff and hard. While the coating makes the new t shirt look great and essentially ‘new’, it makes the t shirt uncomfortable to wear as it scratches the skin. When you take your t shirt through these softening steps, you make remove the coating and leave the shirt vintage soft. And by the way, the faded look is also awesome, isn’t it? It will remove any chemicals that may have been used as preservatives for t shirts, and as these chemicals might be allergens or even harmful, softening protects you. Softening creates more pores in the fabric, thus allowing air to flow freely and making the t shirt more breathable. As the t shirt becomes more breathable, you sweat less and remain fresh much longer. 1. Why soften new t-shirts? A new t shirt has a coating that scratches the body, making the t shirt a little uncomfortable to wear. When you soften the t shirt, you remove the coating and make the t shirt comfortable to wear. And that’s not all. Softening removes garment preservation chemicals that might trigger allergic reactions from your body or even harm your skin. 2. How do I make a natural fabric softener? Create three mixtures – salt and water, baking soda and water, and vinegar and water. By adding the three mixtures to clothes in a washing machine, along with some detergent, you have a natural fabric softener that works. 3. How long do I soak my shirts in fabric softener? Many people say overnight, but seven minutes should be enough. Realize that soaking your clothes in fabric softener for too long can lead to the fibers getting damaged, and the clothes’ durability might get reduced greatly. 4. Should I use chemical or homemade softeners? It’s true that there are many chemical softeners that you can buy from the store, but these can damage the fabric especially when misused. To be on the safer side, try natural softening ingredients like salt, vinegar, baking soda, and hot water. When softening your t shirts, make sure you don’t use too much mixture that are too concentrated and definitely don’t soak the t shirts in the mixtures for too long. Why? Because you don’t want to damage the fabric. Again, realize that only cotton and cotton blends with high cotton content are candidates for this kind of softening. Do you know how to soften cotton shirts in other ways? Why not share your insights with us in the comments?